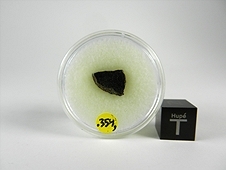 NWA 5400 is an 'Earth-Related' meteorite and may be a sample from a large asteroid or dwarf planet, which accreted in the early solar nebula in the vicinity of proto-Earth or Theia. 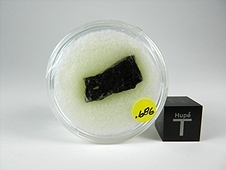 It has oxygen isotope ratios indistinguishable from those of rocks from the Earth and the Moon, which plot on the TFL (Terrestrial Fractionation Line). 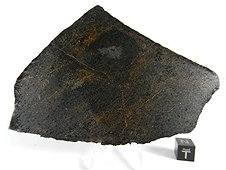 A precise formation age has not yet been measured, but it cannot be older than 4.54 billion years, which likely makes NWA 5400 anomalously young among primitive achondritic objects from the early Solar System. 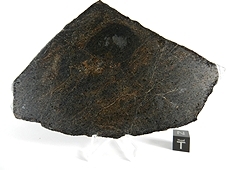 It is generally accepted that the Earth-Moon system was created when Theia collided with proto-Earth about 4.52 billion years ago. Is it possible that NWA 5400 is somehow related to this phenomenal event? 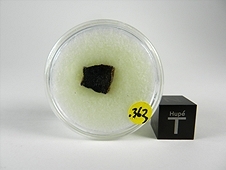 NWA 5400 adds valuable understanding of events that took place in the early evolution period of the Solar System. 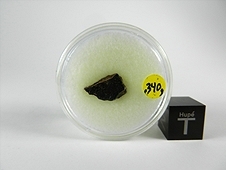 Scientists at prominent institutions from around the world continue to diligently study this stand-alone meteorite, which will add to the already incredible information NWA 5400 has to offer. 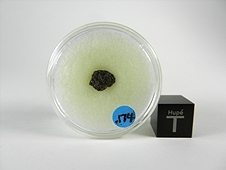 NWA 5400 has a Total Known Weight of 4.818 kg in a single stone that was discovered in Northwest Africa in 2008. 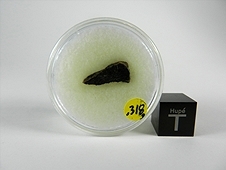 The chocolate-brown mottled matrix takes an extremely nice polish, which reveals the dazzling olivine crystals exhibited in this scientifically important new meteorite! 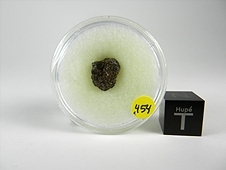 The majority of NWA 5400 is in the 3426 gram main mass which is being curated in a private collection, leaving precious little for the collector market. 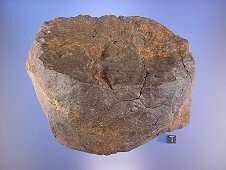 I have listed here the largest specimens I have available.